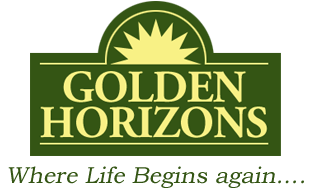 Golden Horizons offers Assisted Living services tailored to meet the individual needs of our residents. We base our philosophy of care upon resident choice, dignity, privacy, individuality and independence. Our personalized approach allows us to meet the requirements of each of our residents right in the comfort of their own apartment. 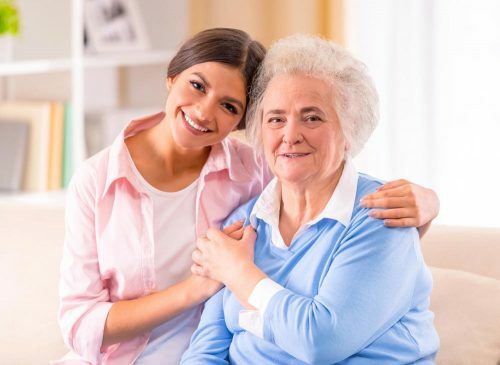 A service plan is developed by our Registered Nurse, the resident, and their family, which together orchestrates a variety of services to support the resident’s independence, self direction, and participation in decisions. These additional services are available to meet your individual care needs. Inviting dining room where home cooked meals are served daily. Spacious theatre room to watch your favorite movie or TV shows. Cozy foyer with fireplace to sit and reminisce with friends. Activity room to enjoy those fun events with friends & family. Sun room to relax during the warm summer days. Church chapel to worship & have fellowship. Café to enjoy coffee in a social setting. Whirlpool therapy room for your relaxations. Beauty & barber shop for your convenience. Beautifully landscaped grounds with walkways & gardens.